Macquarie Power is a level 2 ASP Electrician serving all area of the Newcastle, Hunter Valley, and Lake Macquarie areas. Peter is a Pole Erection specialist using the best quality poles and fittings to ensure your private power poles withstand the ravages of time and environment. 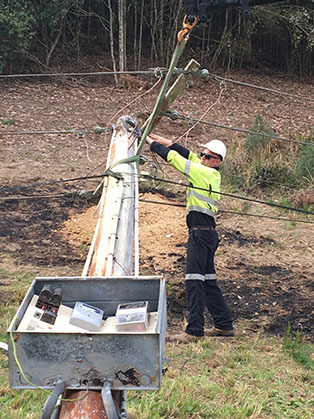 Ausgrid regularly inspects your private pillars and poles and if your poles are not up to spec they can defect the pole and disconnect power within certain time frames. Macquarie Power repairs blown service fuses, set up temp building services and performs connects and disconnects fro switchboards and all network connections.